Following a strong 2005 season, the goals and expectations were to finish on top of the charts for 2006. 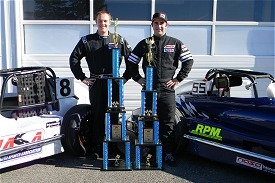 With the eye on claiming two INEX championships in one season the goals were clear. Good runs and consistent finishes would be required to fulfill these goals. 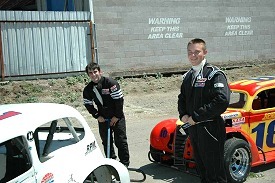 I was able to complete the task of winning the INEX Young Lions Road Course National Championship along with the inaugural Northern California NASA Semi-Pro Championship. The season started off strong with a win coming in the first weekend. The main objective was consistency and gathering the maximum amount of points where the focus throughout the year. The one major low point for my season came during the main event of the second race weekend. While leading on the final lap of the race, a late braking passing attempt by the second place racer, lead to contact which sent my car into a series of end-over-end flips. The car landed severely enough on the right roll cage that the chassis was beyond repair. A used car was purchased prior to the next event only three weeks away. While the new car presented some early struggles trying to get a handle on the new chassis, the objective of good consistent finishes still took top priority. My dad, grandfather, and I worked on the car after every session making progress through every adjustment. 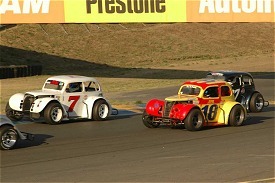 The worst finish of the regular season races occurred at Infineon Raceway while running third place in a close three car battle when the driveshaft coupler came loose. The key to the regular season success was not allowing the low points of the season dictate what the rest of the races would produce. 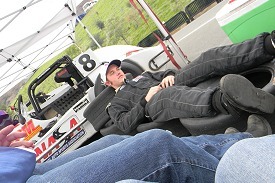 This thinking process allowed me to hold the Semi-Pro road course points lead until the final race of the season. 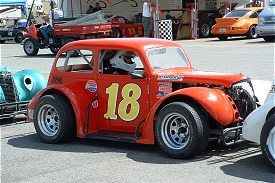 The most memorable race of the season came at the super fast and super long, Reno-Fernley Raceway in the desert heat of July. The temperatures were above 100 degrees and the racing was even hotter. 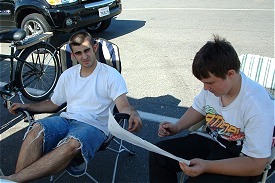 I was able to race with my dad for the entire race around the technically challenging and fast four mile road course. We were able to swap the lead back and forth throughout the race, and I was able to hold him off and beat him to the finish line by 0.286 seconds, leading me to my first overall win of a Legends main event. 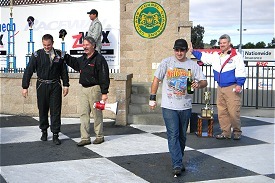 My consistent season races secured the Northern California NASA Semi-Pro Championship. 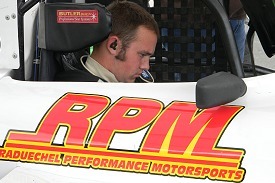 Going into the INEX World Finals the Young Lions Road Course Championship was locked. I trailed only my brother for the Semi-Pro Road Course Championship, the goal of a consistent finish was placed on the back burner, and the win was the only way to fulfill the second INEX championship. Starting the first heat on the front row with my brother beside me, my dad and I discussed that I would be better off getting two consistent finishes in the heat races, instead of taking a chance on the win and maybe getting caught up in an incident. I was able to produce top five finishes in both heat races, using my rain driving skills to get to the front of the field of Saturday's wet conditions. Starting the main event the goal had changed back to winning the race. After clearing the early race incidents with the front runners, I had gotten to fifth place. I had contact with another car which bent the front bumper back, which wouldn't allow the car to turn to the right properly. I maintained the focus of consistent finishes after the contact and was able to bring the car to an 11th place finish. 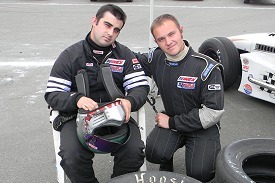 The disappointing finish resulted in falling to 4th place in the Semi-Pro Road Course championship by a mere 1 point. All of the top five finishers completed the season with only a 30 point gap. 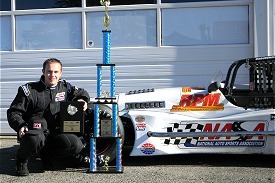 Special thanks go out to my dad & mom who helped me compete is this great sport of auto racing. Also thanks to my brother for being a great competitor and constantly helping me to go faster, and my grandparents Robert & Susan for their support. 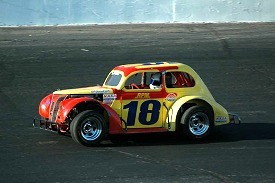 Thanks to Ken McRorie, Rob Cantrell, and "Big John" Peterson for all of their help on the car over the years. Northern California NASA for promoting a great series that allows us to race on some of world's finest road courses.